When it comes to the new 2018 Toyota RAV4 getting to your destination is not a problem, but wanting to get out of the vehicle is. Its captivating personality lies in the details, both inside and out – and even under the hood. Adapting to your needs is what the RAV4 does, whether it’s cargo versatility you need or the performance features you seek. New for 2018 is the all-new Trail Package. It offers unique Trail badging and hood decals, as well as performance upgrades such as suspension Lift and a 1,590 kg (3,500 lb) towing capacity. Equipped with seating for 5, drivers can choose between 9 available models. These models include: FWD LE, AWD LE, FWD XLE, AWD XLE, HYBRID LE+, AWD SE, AWD Limited, HYBRID SE, and Hybrid Limited. Boasting a bold style, the 2018 Toyota RAV4 features ten bold colour choices, such as Electric Storm Blue and Black Currant Metallic. The dynamic lighting design features standard projector-style halogen headlamps and automatic headlamp system, with available LED headlamps, LED daytime running lights and LED tail lamps, as well as available fog lamps. Adding a sleek contrast of sophistication and athleticism are features such as available power tilt/slide moonroof, available hands-free power rear liftgate, and spoiler with LED stop lamp. Take your RAV4 to the next level with one-of-a-kind packages, including the Trail Package which features 18″ black alloy wheels, badged mudguards, black hood decal, black halogen headlamp trim, exclusive Trail body mouldings and door scuff plates. Or select the Platinum Package that features colour-keyed mouldings, hands-free power rear liftgate, 5-Door Smart Entry. As you enter the 2018 Toyota RAV4, it becomes clear it was built for your next adventure. Available heated front bucket sport seats, available SofTex trimmed seats, and 60/40 split rear bench seat with fold-down seat back and fold-down centre armrest allow for comfort and versatility. The available leather-wrapped steering wheel and leather-wrapped shift knob are just some of the unique touches you can add. The all-new Trail Package offers unique features such as Trail badged shift knob, carpet mats and cargo liner. The Hybrid XLE Package offers a leather-wrapped heated steering wheel and chrome plated inner door handles. Stay connected and in control in the2018 Toyota RAV4 with the standard 6.1″ Touch Panel Display Audio System with AM/FM radio and CD Player. Opt for available 7″ Touch Panel Display Audio with Navigation and AM/FM or 7″ Touch Panel Display Audio with Navigation and JBL Sound System. Have eyes on nearly every part of your RAV4 with the available backup camera, available Dynamic backup camera, or available Bird’s-Eye-View camera. 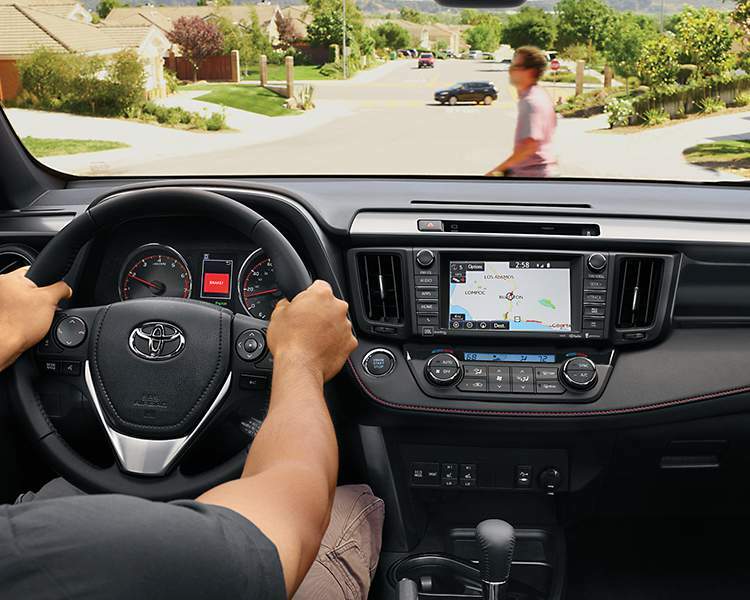 Each 2018 Toyota RAV4 model is equipped with a USB input port, auxiliary input jack, and Bluetooth Hands-Free phone connectivity and wireless audio streaming with steering wheel controls. 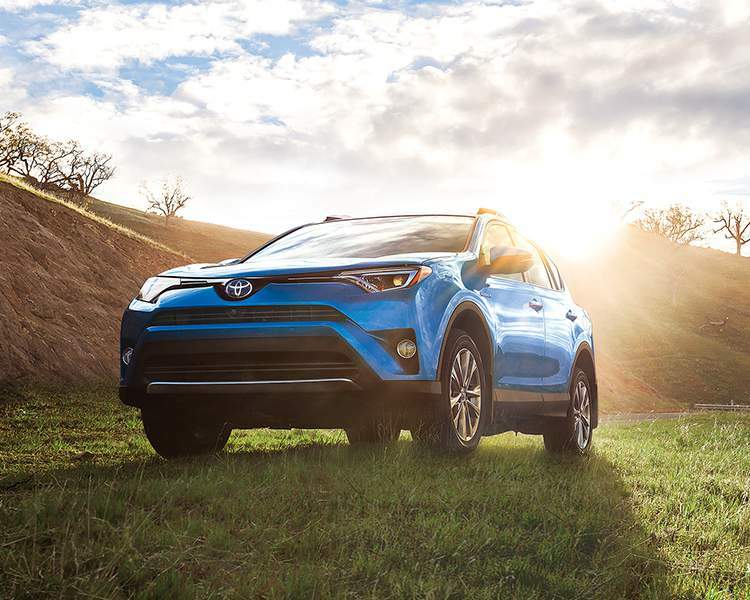 Toyota Canada Inc. offers Toyota Genuine Parts and Accessories for all new Toyota and Scion vehicles, including the 2018 Toyota RAV4. All Toyota Genuine Parts and Accessories are custom designed and built for each specific Toyota vehicle and backed by a Toyota warranty. Popular items for RAV4 models include 17″ steel wheels, running boards, towing accessories, body side mouldings, cargo liner and net, START+ Long Range Remote Engine Starter, roof rack, and more. 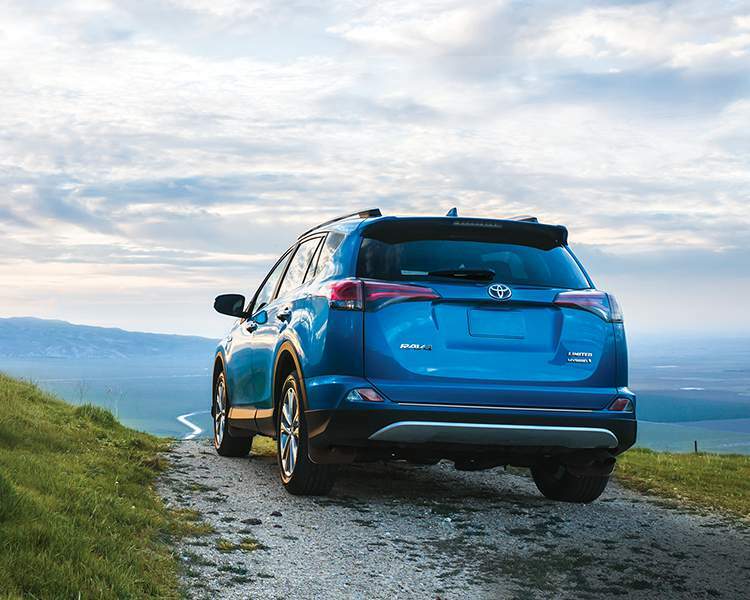 Toyota has taken the 2018 RAV4 to new heights with the new Trail Package, giving it Suspension Lift to create a higher ride height and incredible towing capacity of up to 1,590 kg (3,500 lb). Regardless of where you want to go with the 2018 Toyota RAV4 you can. No matter what the terrain holds, use Drive Mode Select to optimize fuel efficiency or provide you with a sportier experience. Hybrid Synergy Drive (HSD) allows drivers to seamlessly switch between the gas engine and electric battery power. Thanks to regenerative braking, any excess energy applied to slow or stop the vehicle is redirected to charge the RAV4 Hybrid’s battery. Choose between a gas or a hybrid engine, as well as front-wheel or all-wheel drive configurations. Renowned for its safety, the 2018 Toyota RAV4 is part of an award-winning heritage. 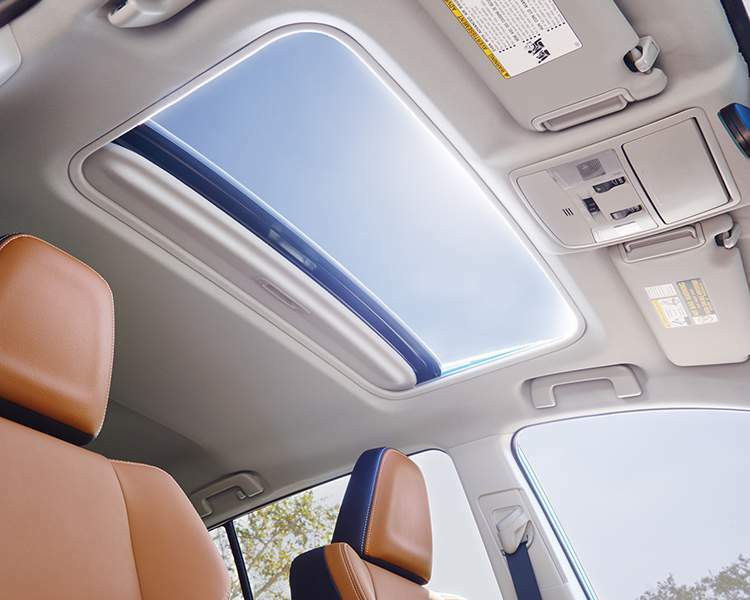 When it comes to safety, Toyota’s Toyota Safety Sense will protect you and your passengers. Combine that with Toyota’s Star safety system, both of which are standard across all models of the 2018 Toyota RAV4, for the ultimate peace of mind. Toyota Canada Inc. offers a comprehensive New Vehicle Warranty for each of its vehicles, so you can have confidence your 2018 Toyota RAV4 is protected. Put the fun back into driving with the 2018 Toyota RAV4. Take advantage of new features for the 2018 model year, like the Suspension Lift and outstanding towing capacity. Optimizing Toyota technology, luxurious comforts and easy to use convenience features, the RAV4 is ready to become your home away from home. Whether you crave the open road or the road less travelled, adventure is waiting behind the wheel the 2018 Toyota RAV4. Stop by your local Edmonton Toyota Dealer – Gateway Toyota to find out why everyone loves driving their Toyota. Shop Gateway Toyota’s lot today and choose from a variety of new and pre-owned cars, trucks and SUVs.